Watch creative worlds collide like never before in the ultimate fusion of hip-hop and the House of Ideas! 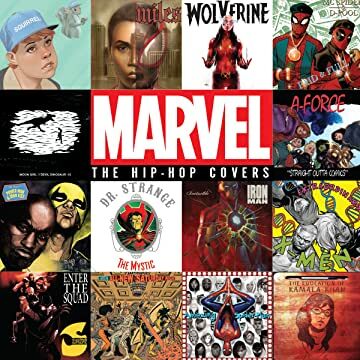 With an introduction by award-winning author Ta-Nehisi Coates — a National Book Award winner, a recent MacArthur Genius Grant recipient and the writer of Marvel's BLACK PANTHER — this stunning volume showcases 70 comic-book covers inspired by some of the most iconic albums in music history. 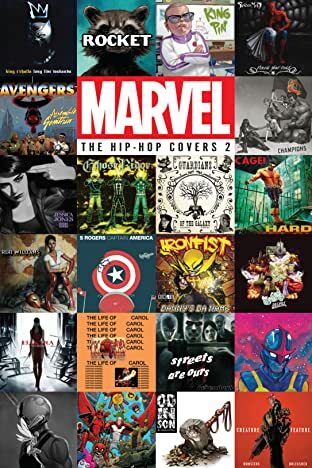 Experience page after page of incredible artwork featuring the heroes of the All-New, All-Different Marvel Universe — from A-Force to the X-Men — by an unbelievable roster of talent including Adam Hughes, Brian Stelfreeze, Jim Cheung, Mike Del Mundo, Sanford Greene, Jenny Frison, Phil Noto, Mahmud Asrar, Damion Scott, Tim Bradstreet, Keron Grant and Ed Piskor. 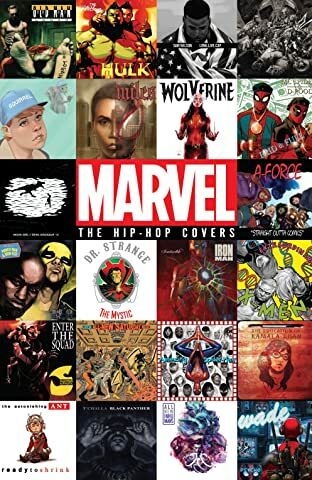 Their finished covers sit side-by-side with behind-the-scenes sketches, showing the process of rendering some of the most famous images in hip-hop, Marvel style.